SOLUKHUMBU, April 11: Flooded with tourists this season, hotels at Gorakshep and Lobuche in the Khumbu region of Solukhumbu are finding it hard to manage rooms for the tourists visiting the district. As a result, tourists are facing a tough time finding accommodation. There are four hotels in Gorakshep which can together accommodate as many as 300 tourists but these days around 500 tourists are visiting Solukhumbu on a daily basis. As a result, tourists have been compelled to sleep on floors and in dinning halls, while many can be found still wandering in search of accommodation. Chitra Rai, a hotel owner in Gorakshep, said “Managing food for the tourists is not difficult but there are not enough rooms for them to sleep which has made it difficult for tourists and trekking guides to spend nights,” According to him, the number of tourists has increased massively this year. Gorakshep is the last human settlement before Everest Base Camp (EBC). Tourists going to Khumbu also visit EBC and Kalapatthar because of which they spend at least two days in Gorakshep. 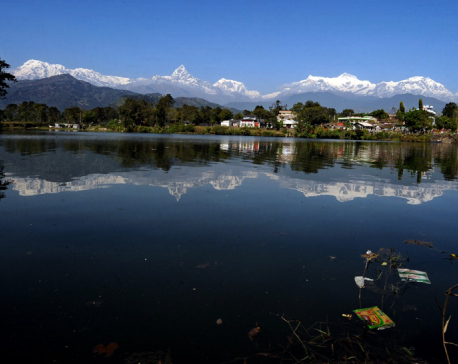 Currently, as many as 1,000 tourists are staying in the hotels of Gorakshep on a daily basis. There are not many houses in the area, which has added to the misery of the tourists. 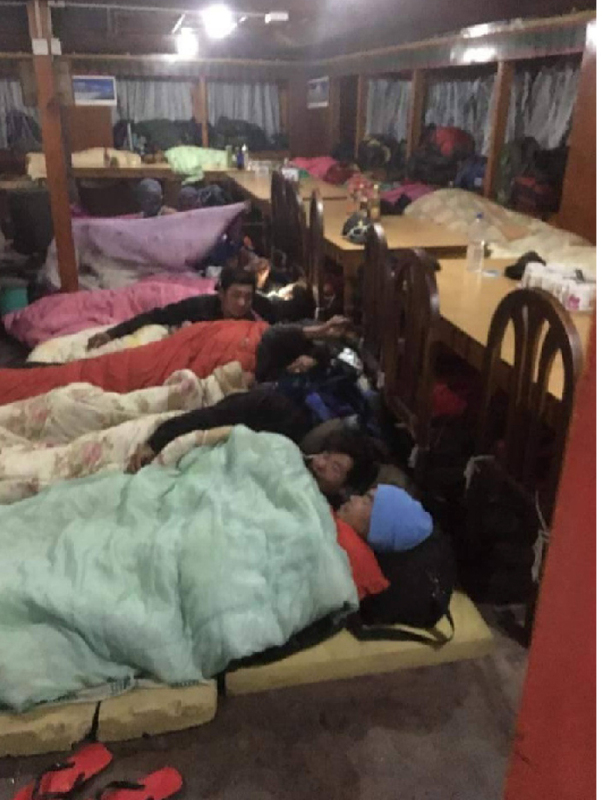 “Though most of them reserve their rooms in advance, those who don't are in trouble,” said Pasang Kami Sherpa, another hotelier. 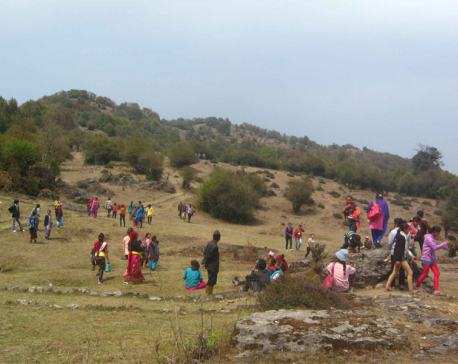 Lobuche, which is a neighboring village of Gorakshep is also packed with tourists these days. There are altogether eight hotels but the tourists have far outnumbered the beds in those hotels. Though there is enough food, there is not enough water. In the past, the hotels used to get water from ponds which have disappeared now. According to hotel owners, most of the guests ask for hot water but it has been a real trouble for them to manage it for them. According to Lam Kaji Sherpa, who owns a hotel in Namche, such difficulties are not faced by the hotels of Dingbuche, Pangbuche, Namche, Lukla among others as there are enough hotels.